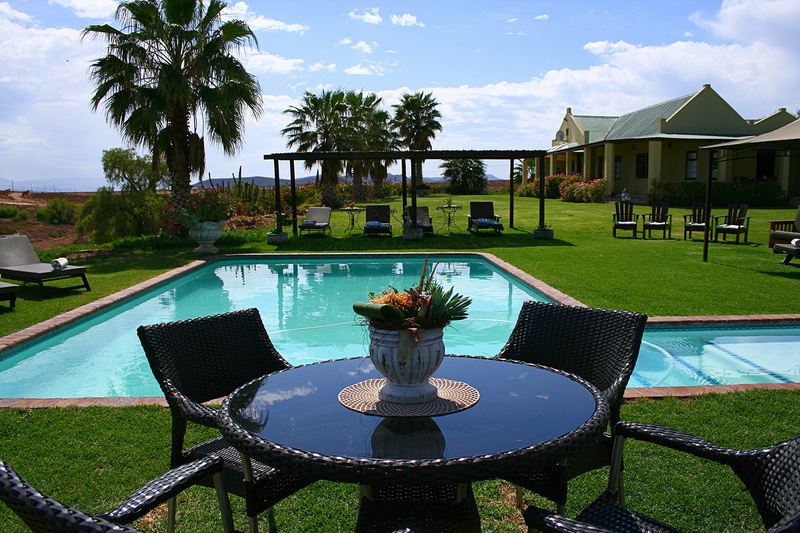 World-Class Hospitality in the heart of the Klein Karoo. 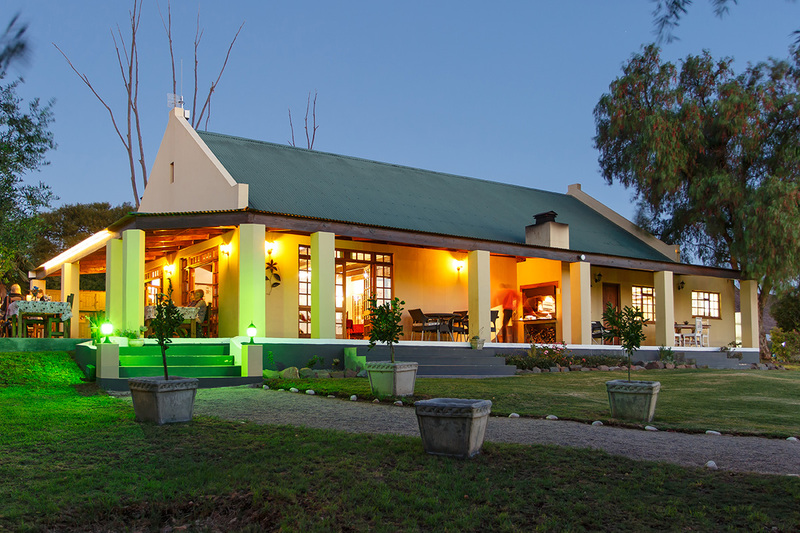 De Denne is the perfect stop over halfway between Cape Town and Port Elizabeth travelling on the Route 62. 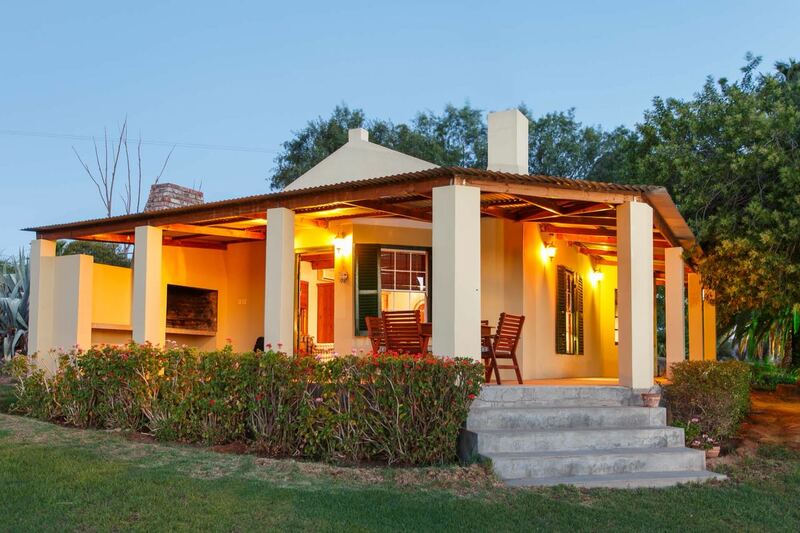 Our Country Guest House is situated on a working ostrich and Alfalfa farm and offers tranquility, spectacular views and soul touching moments. Sunsets you will never find elsewhere and hospitality to make you feel at home. 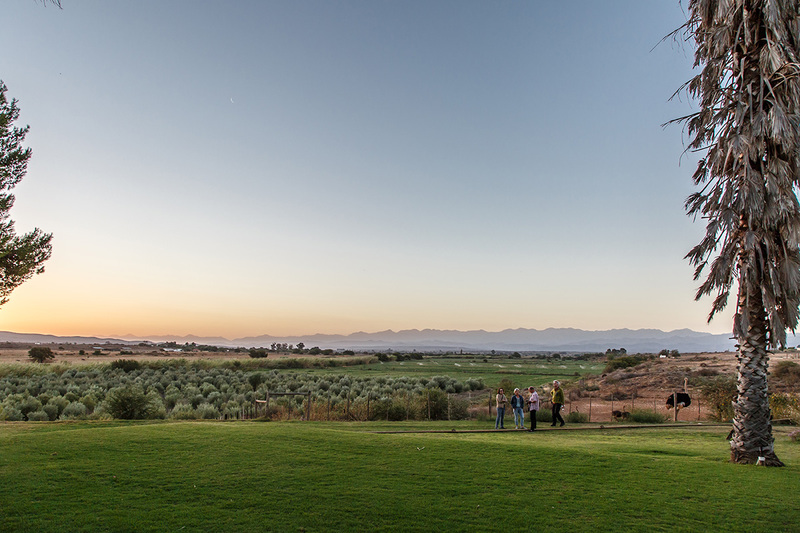 All our suites enjoy spectacular views of the surrounding farmlands, majestic mountains and the luscious garden. 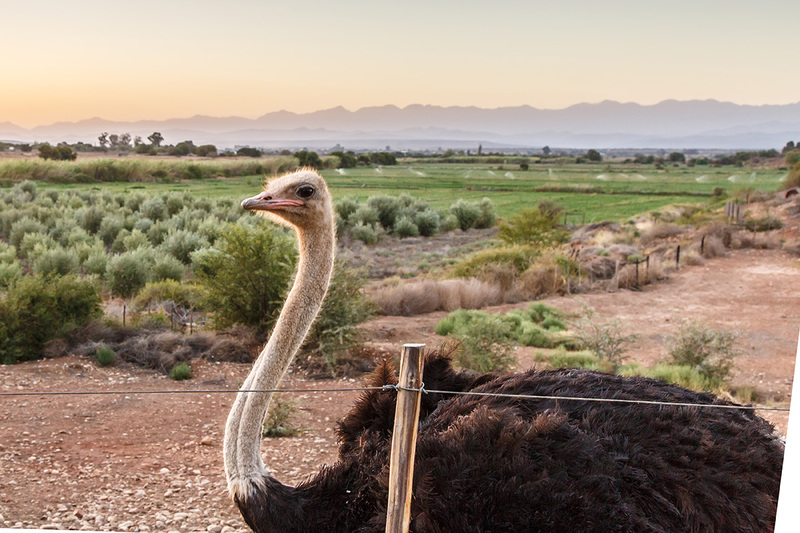 Our many activities include bird watching, scenic walks, stargazing, environmental and farm tours where you can experience the ostrich chicks hatching. Activities also available in the area to enjoy is the Sunrise Meerkat Tour, Cango Caves, feeding the elephants and visiting Highgate Ostrich Farm. De Denne is perfectly situated for a day visit to the surrounding towns of Prince Albert, Mossel Bay, Calitzdorp (The Port Capital) and Knysna. Perfect for romantic getaways or family fun time, with modern amenities and olde-world charm. De Denne offers 9 Elegantly appointed, spacious en-suite bedrooms overlooking the surrounding farmland. Our 5 family suites are focused on ensuring that our guests enjoy a comfortable stay without neglecting the luxury touches. De Denne offers 3 luxury garden suites. 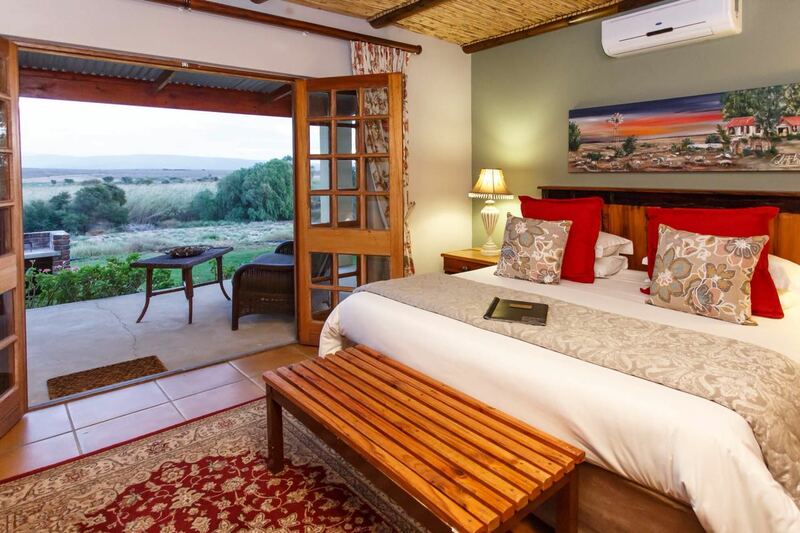 All of them have magnificent individual views over the Swartberg Mountain range. We offer 2 Standard Queen size bedded en-suite bedrooms, each with its own unique features and layout. Our famous and always popular BBQ & light meal options can be enjoyed at our Ma Belle Restaurant. A local wine list is available complimenting the cuisine and making for an enticing dining experience. We offer a variety of private tours that is interesting and educational. Join us for a full or half day tour of the Swartberg Mountains, visit a working farm, or let’s kick off on a wine tasting adventure! We take pleasure in sharing with you some interesting facts about what can be observed on a cloudless night in the Klein Karoo at De Denne. 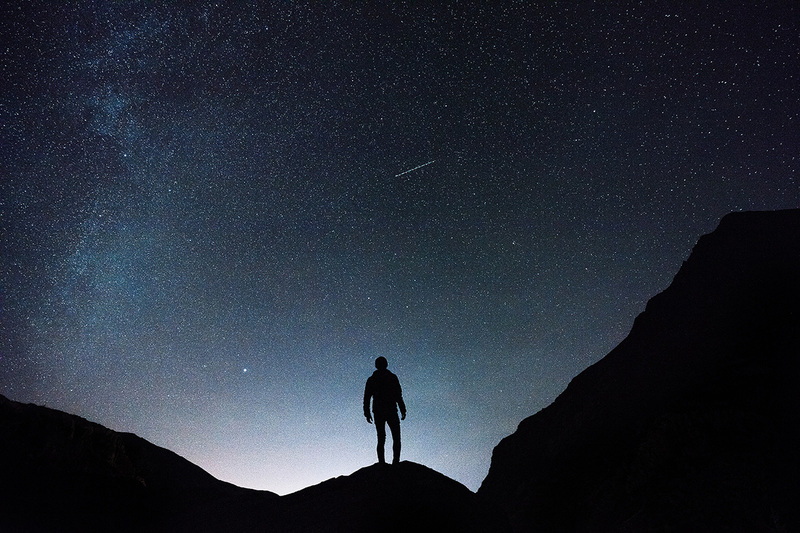 Your guide will introduce you to the night life of the Klein Karoo evening skies.